My hobby adventure took a drastic turn with some decisions I made in the couple of days since the last post. Since we’re heading into bad weather in Turkey (at last! Yes, I like winter) I’m planning on getting primer on as many projects as possible before we hit the times when spray priming will be out of the question. Thus I have once again dug into the boxes that need some attention. I even completed a kit within a day! 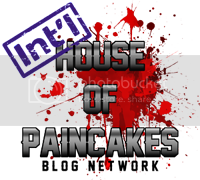 Find out my progress on the hobby front after the jump. The instructions are very straightforward and the number of pieces to be assembled (if you’re opting for the Trygon) are quite few. Perhaps for this reason the pieces are not numbered on the sprues, so be careful in picking your pieces correctly. Each variant has different armor plate and head options, so just give it another look before splashing the glue. As with all kits that contain large pieces that form a body or a fuselage or similar point, the Trygon has large join lines to be taken care of. For large surfaces I found Duncan’s method of running the Mouldline Remover an excellent solution, for smaller surfaces your mileage may vary. Huge join line? Never fear! Run the Mouldline Remover over the part for instant flattening. As an alternative, use putty and sand away the excess for an exact finish, up to you. I used a brush-type glue by Revell on this kit and deeply regretted it at some points. There are lots of slots for the tentacles and spikes to go in and if you fill them by a little more than usual you get spills. Since the glue melts plastic this may cause some problems on your finish. Try applying as little glue as possible especially for the spikes. The chest piece comprises of two halves and an armored top. Thus there are lots of join lines forming. Also be careful with the “vents” as they’re brittle and very thin for glue, apply less for effect. These are the parts where glue can pool and overflow. As said, apply less. There we go. The kit leaves a lot of excess pieces when assembled (as mentioned, I went for the regular Trygon, with a different tail option), so for conversion geniuses out there there’s room for improving other models. I’m just gonna keep them for a later time at the moment. Sprue 1. Not a lot of parts here. Remembered to take a pic right after clipping the torso! Like Aliens? You’ll love the Trygon. I’m gonna have fun painting inside the mouth I guess. The tail is wobbly, but I’m gonna use a custom base anyway. No fear. The leftovers. There’s a lot coming from the Mawloc variant, perhaps can be used for Nurgle themed models. My friendly marine looks tiny next to the giant that is the Trygon. Truly a centerpiece mini. 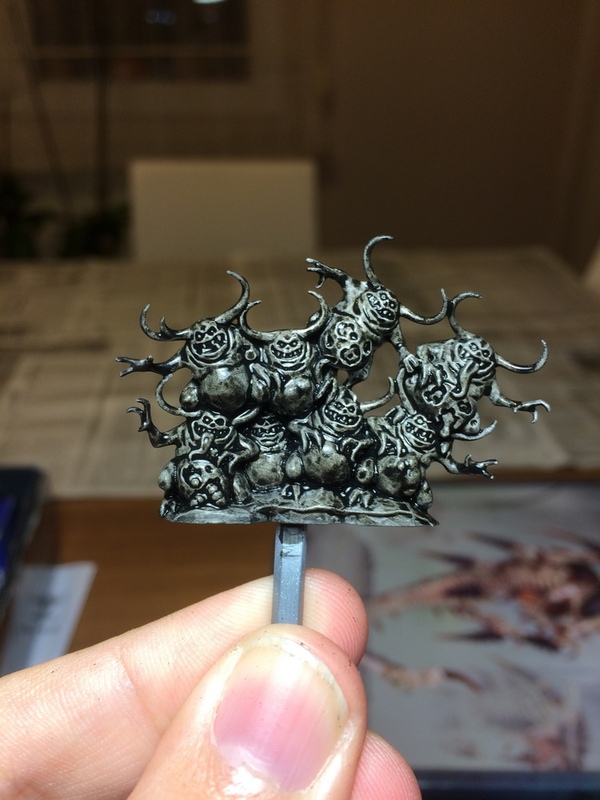 Getting too excited with the new models I had little progress in these guys. I managed to prime all pieces but the ones that had white undercoat on them from a previous session gave me some trouble. I let all pieces lie to dry for a bit and will take a look at them in the weekend to see if I can start work with them. The primer mishap did give me an indication however about all the raised and shallow areas on the model so I took a mental note of it for later! The kit looks glorious. So much detail to paint. New project, yes. More assembly to be finished before winter truly strikes. Starting this kit also makes room in the cabinet where I keep the boxes so that’s kinda nice too. What really got me going is the fact that through 13 steps the two variant brutes share the same body (and pose, which is a little lame) and differ when it comes to the head, tail and the back “ornaments”. 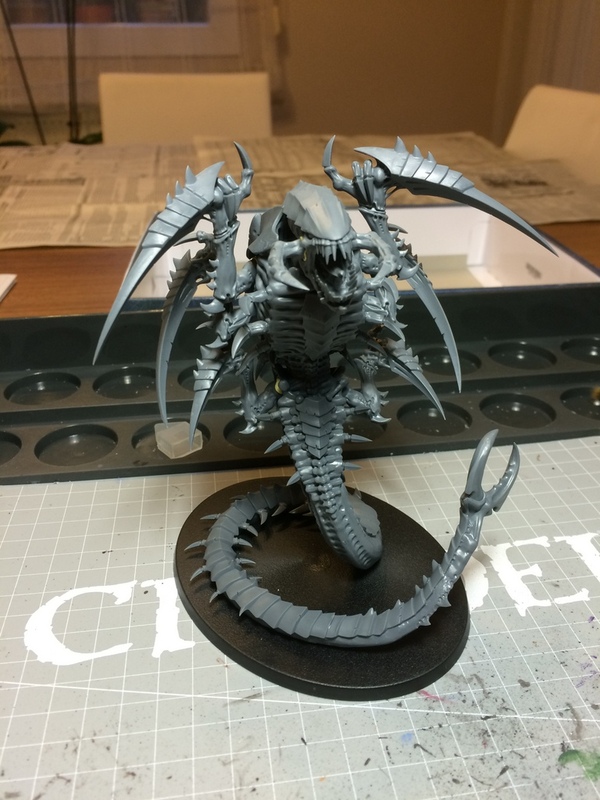 Of course, a proper beast of Chaos should have a healthy mix of disgusting parts as well as… well, chaotic bits, so I naturally opted for the Mutalith Vortexbeast variant. The pieces involved have interesting shapes that go together, stick to the booklet. Some connect at difficult angles, we’ll see how this goes when I go further here. Large halves of bits guarantee large join lines. I have my putty at the ready for this. Only at this point you have to decide for good. I’m at the very beginning of assembling this beast but even now it proves to be both challenging and fun. The kit resembles a puzzle of sorts and I’m not sure if this is deliberate on GW’s part. All I can say is that sticking to the instruction manual is a good idea as even while following it the weird connection angles can get confusing. Perhaps GW is trying to limit conversions or at least make it harder. Even the first step is confusing! So many indents to look for. But when found, the parts fit very snugly. No join lines! Difficult to hold for a picture, but here’s what it will look like when glued. So, new projects incoming to populate my desk. Let’s have a tally of WIPs on this page shall we? What a list. It’ll get a lot more interesting when all these get some primer on them but until I fix the Imperial Primer and the spray can problem, I’m gonna stick to assembling. There’ll be plenty of long, cold nights to spend with the brush anyways. Wow! That is a ton of work…here I just played xenonauts last night! I need to step up my game! Thanks for the tips on the trygon. I actually have one of these models, still haven’t put together yet! Good to know there will be a ton of left over bits! The vortexbeast I had never seen before Nova…it is a glorious kit. I’m excited you have such a variety of awesome things you’ll be painted. It’s like a Roemer explosion of awesomeness. Great work on the assembly of the trygon. It is always good to finish assembling something and throw away the box (I always feel so accomplished, ha ha). 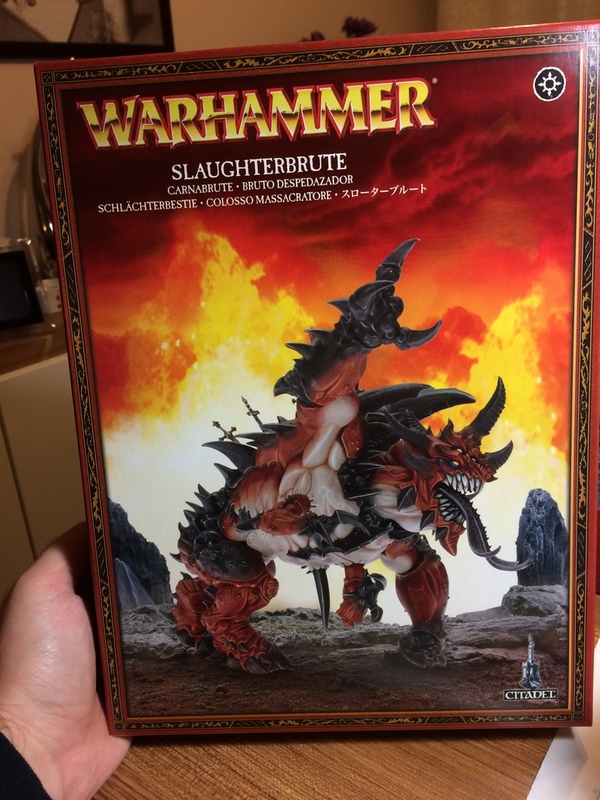 I have wanted to get one for a while now (although my tyranid army is a little pathetic at this point and would struggle to support one…). I should try and use plastic glue again. It has been years since I actually used it. I think it could save me some extra work in the end (removing some of the need to do greenstuff work on everything…). Thanks for stopping by Adam! Indeed, nothing beats the feeling of getting rid of the spare sprues (or breaking them down for base use later) and throwing out the box once the model is prepped. My box still houses the assemblies though, so I guess I’m “almost” there! Plastic glue is a little dangerous I find because especially on flat surfaces once it gets out of control you ruin a perfect armor plate or similar item. My question would be then, what do you use for plastic models other than plastic glue? I have taken to using super glue for nearly everything. It is easy to work with and allows you to break stuff apart if needed afterwards. I have recently started to use Tamiya Extra Thin Cement for a lot of applications (http://www.advantagehobby.com/25603/TAM87038/?utm_source=google+shopping&utm_medium=organic&utm_campaign=product&gclid=Cj0KEQiAsueiBRCT8YOM4PDElsYBEiQAaiI4IP9_HeYbGUjDO8TJniiihn1pEdOiZQ2md-8Zh37Ub9IaArqf8P8HAQ). It works really nicely after fitting pieces together because it is thin enough to get sucked into the seams of the pieces you are gluing.